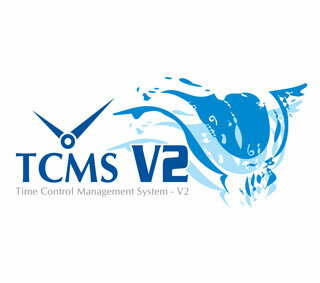 On the TCMS software, a clocking schedule is used as a calculator that has rules that can be set up and the software will look at these rules when calculating punches. A group roster is used as a calendar to assign which schedule is being used on a specific date. A schedule has specific rules assigned to it such as Overnight shift rules, Rounding rules, Break rules, and Overtime rules. To view the clocking schedules, you will have to click on System Settings > Clocking Schedule > Edit. Once you are in the edit screen, you can click on any of the tabs to begin settings specific rules for that schedule. Once the rules have been created on a schedule, you will have to create a group for that new schedule. For more information on how to setup different types of schedules, please Click Here. In a group, the schedule with same number as the group is assigned to everyday of the calendar by default. You can manually select which schedule you would like to use for any day. You can also set specific overtime rules in a group such as an overtime rule that would calculate overtime per week. To view the roster, you will have to click on System Settings > Group Duty Roster > Edit > here you will see a calendar with the months on the left and dates on top. If you right-click a specific date, you can select which schedule is being used for just that date. This is used for employees that would have different clocking schedule rules applied to them depending on the date. Once you select which schedule(s) are in a specific group, you can assign an employee to that group by clicking on the Employees icon. Afterwards, under the Group Roster column, you will need to select which group that employee is on which also defines what schedule and rules will apply to that employee. Once you select the group roster, you will need to click on Save to save the changes made for that employee.